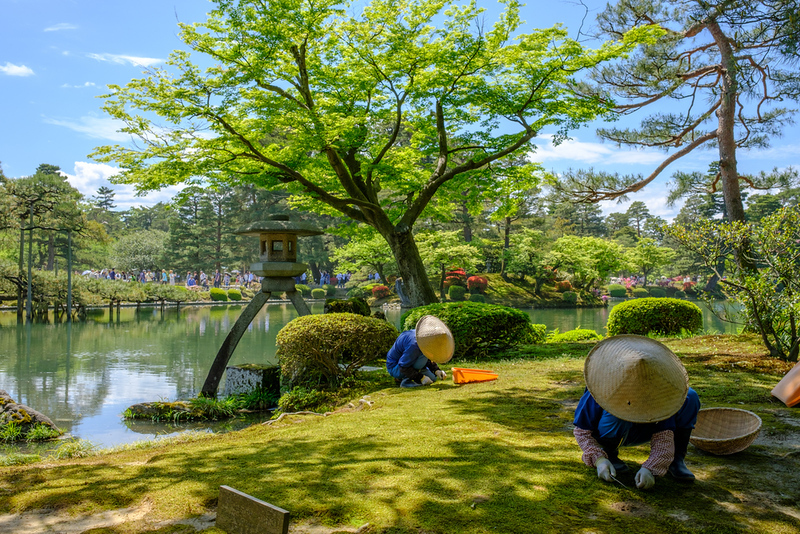 Kanazawa is sometimes called “little Kyoto” and for good reason: It’s packed with first-rate sights, including one of the country’s best gardens, some great museums and several beautifully preserved neighborhoods. 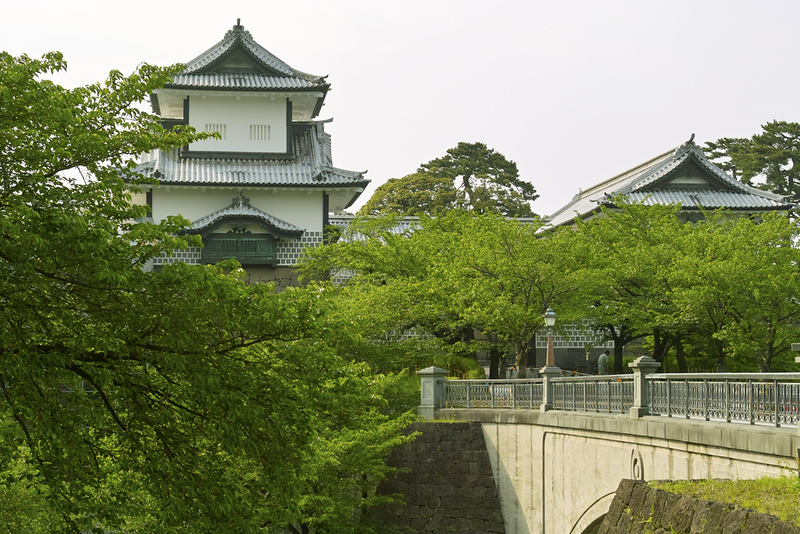 Kanazawa is a relatively compact city with a fine group of sights located around a green core formed by Kanazawa Castle Park and Kenroku-en Garden (both among the city’s best sights). South of the park you’ll find three great museums. Within easy distance of the central core are some fantastic districts of traditional houses that used to serve as the city’s entertainment districts. 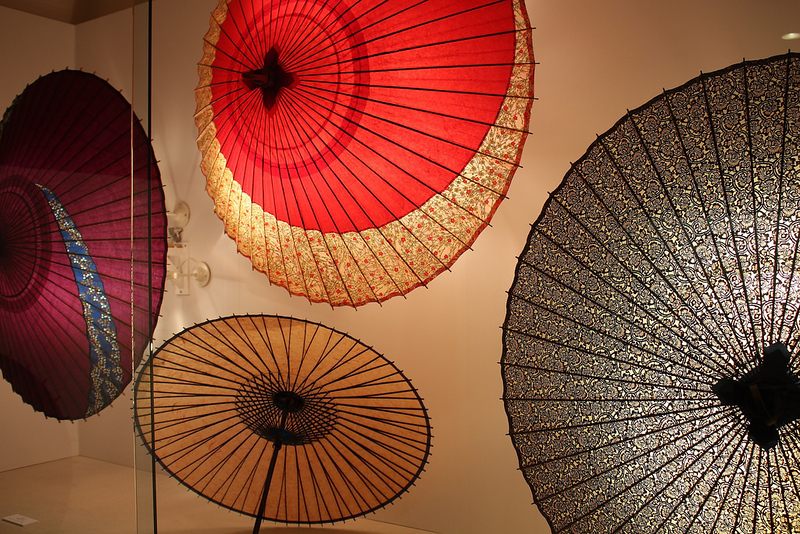 Here, I’ll introduce the three Kanazawa sights that I consider must-sees. Then I’ll introduce the best of the other sights in the city. All of these places can be found on our Kanazawa Google Map. 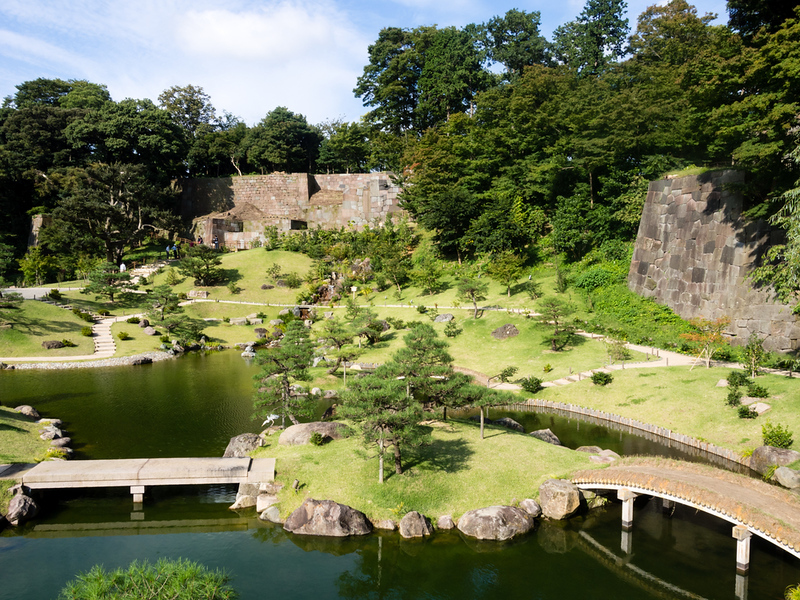 Almost 12 hectares (29 acres) in size, this spacious garden forms the green heart of Kanazawa. It’s ranked by the Japanese as one of the top three gardens in the country and it’s a fine place for a peaceful and contemplative walk. The name means “six attributes garden,” which is a reference to a Chinese book that describes the six attributes of the perfect garden. The real fun here is just wandering around and discovering perfect vistas and quaint traditional teahouses tucked here and there. I recommend starting in Kanazawa Castle Park (see the entry for this lower on this page) and then exploring Kenroku-en before continuing on to the 21st Century Museum of Art (see following entry). 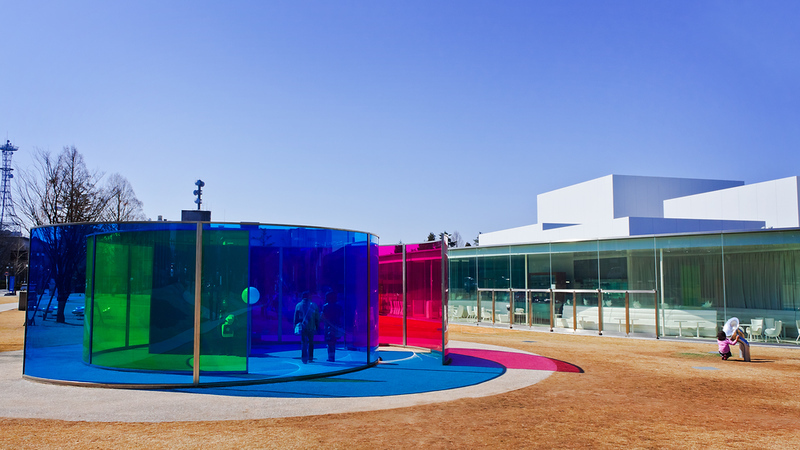 This circular and light-filled museum focuses on art produced since 1980 and is heavy on installations, video and mixed-media pieces, much of it playful, energetic and thought provoking. The museum holds a variety of display spaces and function rooms and the museum is spacious enough to absorb the huge crowds that usually fill the place. If you want to enjoy the museum without the masses, I strongly recommend going right after opening time (10am, and note that it’s closed Mondays). This market is one of my favorites in Japan. It’s less crowded and more enjoyable than Tokyo’s famous Tsukiji and more spacious than Kyoto’s Nishiki. 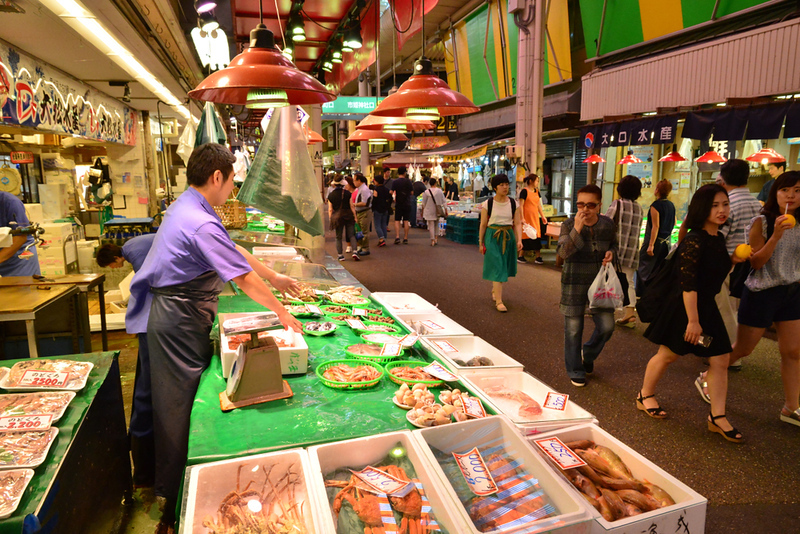 It’s packed with stall after stall selling locally caught seafood, as well as a good selection of fruit and vegetables and other Japanese foodstuffs. And, best of all, there are plenty of restaurants in the market where you can sample some of the stuff you see on sale. For some picks on restaurants in and around the market, see my Places to Eat in Kanazawa page. D.T. Suzuki (1860-1966) was the Japanese writer responsible for introducing Zen Buddhism to the West. The D.T. Suzuki Museum is the perfect monument to the man and his work. 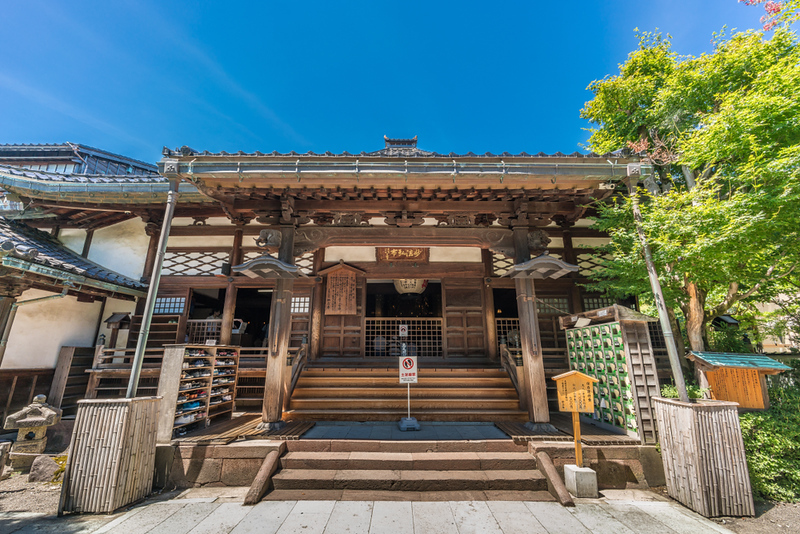 It’s one of my favorite museums in Japan because the structure of the museum itself – not just the exhibits (which are few) – actually conveys the message of the man and the religion he sought to explain. 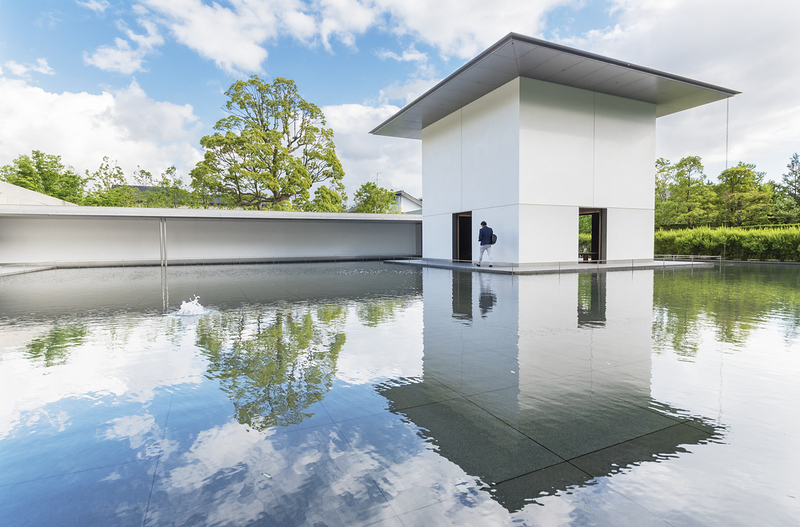 Like Zen itself, the museum invites you to contemplate and empty your mind of distraction. The water “garden” outside the museum is sublime and don’t miss the fine traditional Japanese garden behind it. Although nothing remains of the original castle here and the few buildings standing are much more recent reconstructions, this park is well worth a visit to enjoy the greenery and the views in all directions (the park is located on a hilltop). On clear days, you can see as far as Mt. Hakusan (2702m). You can walk through some of the gates and climb up some of the reconstructed walls to enjoy the views. After visiting this park, head south to Kenroku-en Garden (see earlier entry). 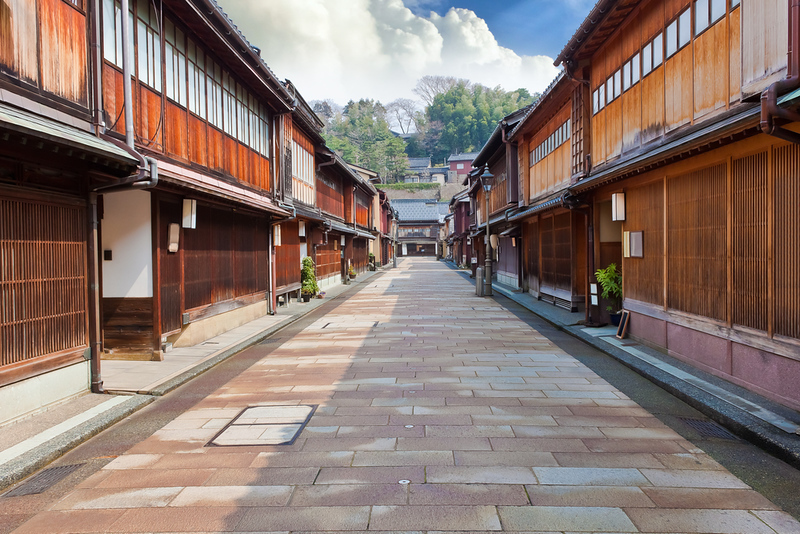 An easy walk east of Omicho Market or Kanazawa Castle Park, the Higashi Chaya Area is a lovely neighborhood of beautifully preserved geisha houses. Many have now been converted into restaurants or teahouses. This area can get very crowded with tourists, but you can escape the masses by heading away from the main street of the area. And if you really want to escape the tourists, cross back over the Asano-gawa River and on the north bank facing the river you’ll find the smaller and less crowded Kazuemachi Chaya Area, which is stunning. 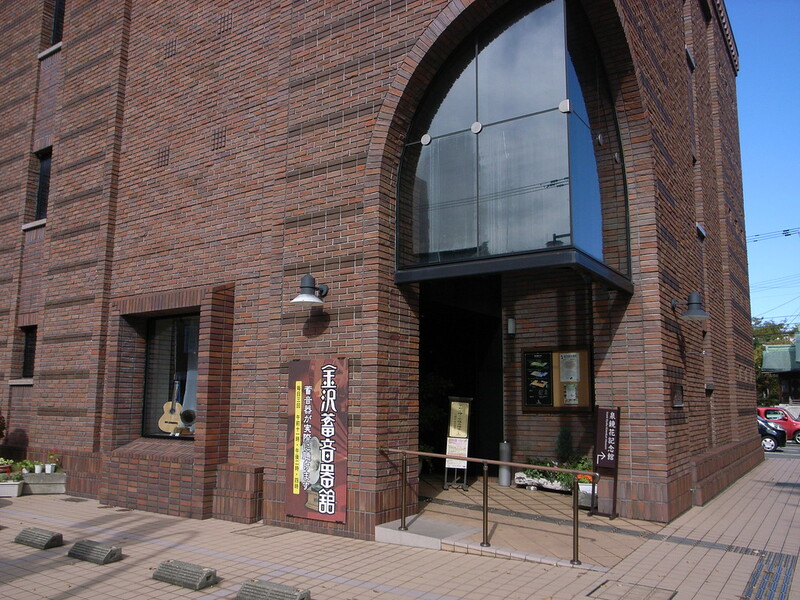 For some recommended restaurants in Higashi Chaya, see my Places to Eat in Kanazawa page. Located on the west side of the city, next to the Korinbo District, the Nagamachi Samurai House Area is a fine collection of preserved samurai houses located along two canals that run through the area. Several of the houses have been restored and you can enter (at least as far as the entryway) and peer around. The best way to explore the area is by heading north along the canal just behind the Kohrinbo 109 Building, then turning left at the first traffic light and then heading south along the next canal. There are several restaurants and cafes scattered about for a rest. Often overlooked by visitors who rush to the 21st Century Museum of Contemporary Art, this fine museum of Japanese art is well worth a visit. The small but excellent collection covers the main fields of Japanese art. And, downstairs, there’s a brilliant café where you can refuel with some delicious coffee, tea and pastries. 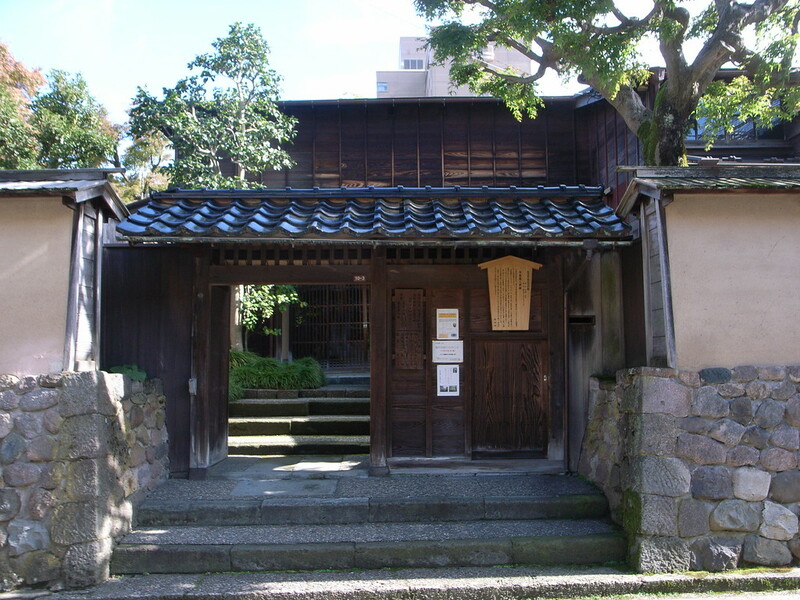 Built in the late 18th century, this fine little samurai house is well worth a visit when walking between the Higashiya Chaya Area and Kanazawa Castle Park. The garden out back is superb and it contains some rare tsustuji (azalea) trees. This place gets few foreign tourists, so it’s a nice place to escape the crowds. If you’re a DJ or just love antique stereo equipment, this museum will be a pleasant surprise. In addition to a great collection of old phonographs spread over three floors, there are some antique radio consoles. Three times a day a kindly gentleman demonstrates several of the phonographs – it’s great! 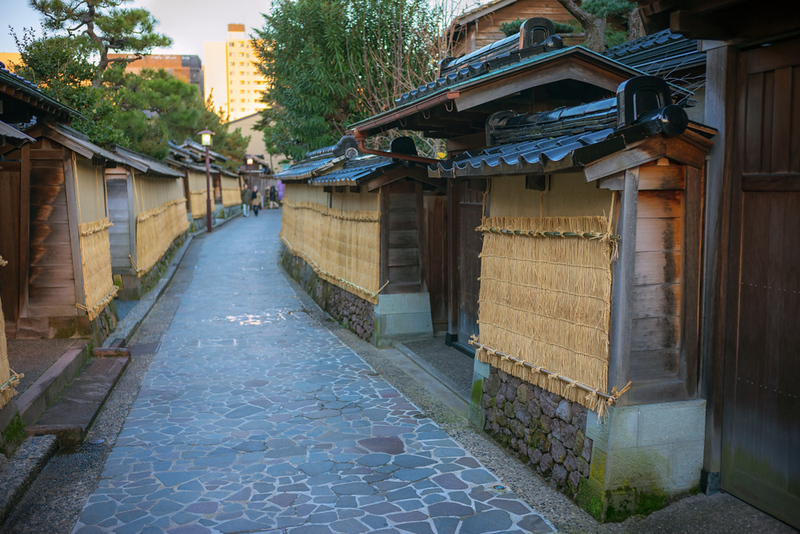 On the far side of the Sai-gawa River, this neighborhood is crammed with small Buddhist temples. Unfortunately, there’s not much for tourists to see here (these are not like the expansive and tourist-friendly temples of Kyoto or Nara). One temple here receives a lot of publicity: Myoryu-ji Temple (the so-called Ninja Temple). I really can’t recommend this temple because they make foreign visitors read and sign an agreement to behave themselves and not make noise, which Japanese visitors do not have to do. Given the high price of the temple and this silly racist treatment of foreigners, I recommend giving it a miss.